St. Patrick’s Day would not be complete without leprechauns! If you attend a parade or celebration today, you may see a few of them — those funny looking guys with tall green top hats and scraggly orange beards. The image of the leprechaun has been used to advertise everything from lottery tickets to Lucky Charms. They are the mascot of the Boston Celtics and the face of Notre Dame’s Fighting Irish. They have been portrayed as dishonest, aggressive and annoying little creatures. Yet I can’t help but think leprechauns have been unfairly stereotyped (much like their human Irish counterparts) as brawlers, drunkards and all-around trouble makers. Real leprechauns have a much more sophisticated history. 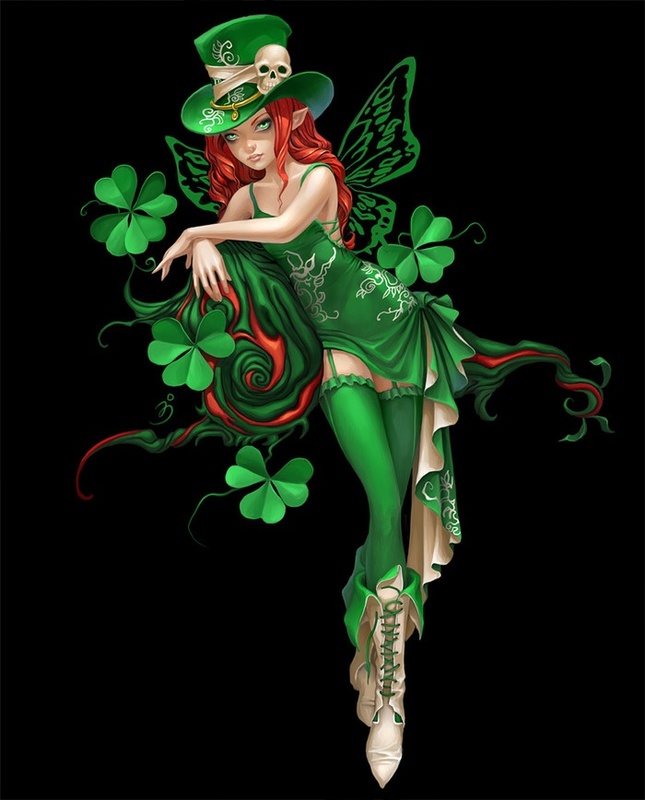 In Irish mythology, leprechauns are part of a race called the Aos Sidhe (pronounced aes-shee). These are supernatural tribes of faeries that include (but are not limited to) Banshees, Changelings, Gancanagh, Pucas, Selkies, Mermaids and Sluagh. These entities live in various places — some underground in fairy mounds, some in oceans, and some in an invisible world, or parallel universe, that coexists with the world of humans. Leprechauns are believed to be among the first inhabitants of Ireland, arriving long before the Celtic tribes. Their life-span can last several hundreds of years. 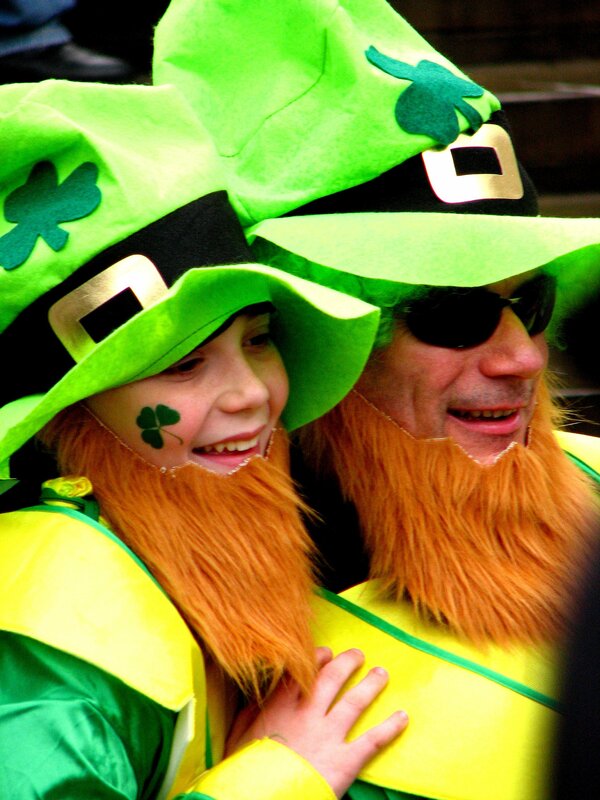 Some folklorists consider leprechauns to be the true natives of Ireland, descended from Irish kings and queens. To this day, Leprechauns can only ever be found in Ireland. They are usually sighted in rural areas away from the general population, or burrowed deep in underground caves, or within the hollow trunk of a Fairy Tree. They are great musicians, known for their love of traditional Irish music and dance. They often hold cèilidh (pronounced kelli — a party of music, dance and story-telling) that last for days on end. Their favorite instruments are the fiddle, the tin whistle, the Bodhran (Irish drum) and the harp. A generous leprechaun might even bestow musical abilities upon an unsuspecting human. Leprechauns are rich. Because they are so hard-working, they also accumulate a lot of gold, which they keep (of course!) in a pot that might be hidden somewhere at the end of a rainbow. Leprechauns generally avoid humans, and with good reason. If a human is able to capture a leprechaun, the leprechaun must then reveal the hiding place of his gold in order to earn his escape. However, if you do manage to catch one of these little sprites, beware! They have been known to promise a lot but deliver nothing. They are fast talkers, full of confusion and trickery. As a matter of fact, no human has ever gotten rich from capturing a leprechaun! “’TWAS a fine sunny day at harvest time when young Seamus O’Donnell, walking along the road, heard a tapping sound. Peering over the hedge, he saw a tiny man in a little leather apron, mending a little shoe. Greeting the leprechaun politely, Seamus asked about his health. However, after a few minutes of idle conversation, Seamus became impatient. He grabbed the leprechaun and demanded to know where the gold was hidden. Together they set off across the fields as Seamus was careful never to take his eyes off the little man who was guiding him. At last they came to a field of golden ragwort. The leprechaun pointed to a large plant. Now Seamus didn’t have anything with him to use for digging, but he was not entirely stupid. He pulled of his red neckerchief and tied it to the plant so that he would recognize it again. The little man promised faithfully. Seamus dropped the leprechaun and ran home as fast as he could to fetch a shovel. Within five minutes, he was back at the field. But what a sight met his eyes! Every single ragwort plant in the whole field — and there were hundreds of them — had a red neckerchief tied around it. Slowly, young Seamus walked home with his shovel. He didn’t have his gold. He didn’t have the leprechaun. Moral of the story? Perhaps humans should not meddle in the affairs of leprechauns! And finally, here is a fun little documentary about faeries and leprechauns in Ireland. Running time is about 23 minutes. Hope you like it! Have a safe and magical Saint Patrick’s Day!